The Rosewood Dog Collar Safety Flashing Light helps to keep your dog in view from long distances when out in low light conditions. The light contains 3 red, white and blue LEDs that flash. Supplied with batteries and can be easily clipped and unclipped from the collar. 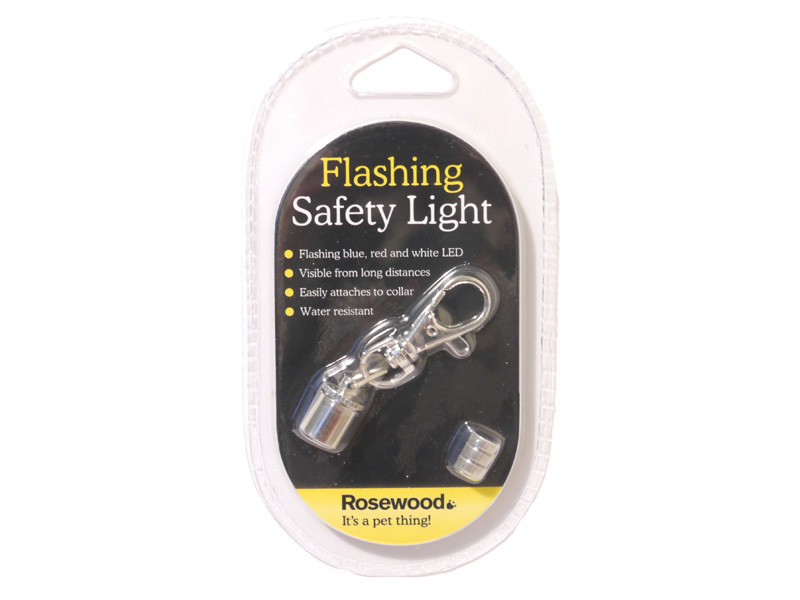 There are currently no questions for Rosewood Dog Collar Safety Flashing Light - be the first to ask one!